We have received a lot messages from our readers who own the Samsung Galaxy A7 and while we’ve already addressed the not charging issue in a separate post, we find it necessary to address the issue involving some A7s that reportedly won’t turn on anymore. Power-related concerns are among the most common problems we received from our readers since 2012. It’s because most users start to panic if their phones won’t turn on or charge and we understand why. That’s the reason we publish posts like this because know thousands of people need our help and advice. 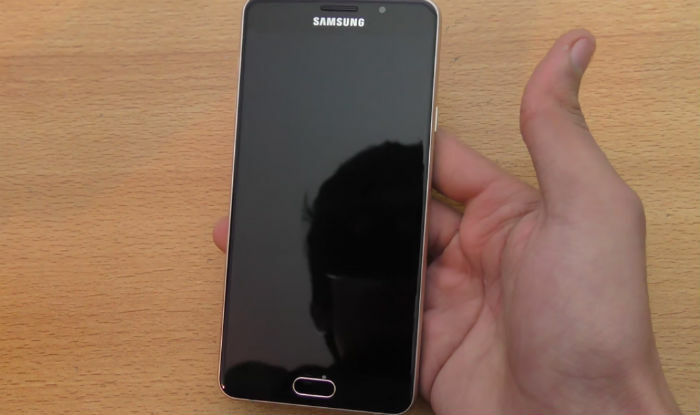 In this post, I will be tackling the the “not turning on” problem with the Galaxy A7. We will try to look into every possibility and rule them out one by one until we arrive at a point where we can easily tell what the cause is and what you need to do as a user to fix the problem. If you’re one of the owners of this phone and are currently bugged by a similar issue, then continue reading below as this article maybe of great help to you. But before we actually jump to our troubleshooting, if you have other issues with your device, then try to visit our Galaxy A7 troubleshooting page for we have already addressed the most commonly reported issues with this device. Try to find issues that are similar with yours and use the solutions and workarounds we suggested. If they don’t work for you or if you need more help, then feel free to contact us by filling up our Android issues questionnaire. Just give us the information we need and we’ll help you solve your problem. Problem: Hello. First of all, thank you for fixing my problem a couple of months ago. I was using the Galaxy S6 back then when I encountered the problem and you guys provided me with a solution that actually worked. Thanks for that. Now I need another advice from you since I just got a Galaxy A7 in May and now it seems like it won’t turn on anymore. I mean the screen is black and the phone won’t respond no matter what I do. I already tried charging it thinking it might just be a problem caused low battery but it didn’t charge either. I’m a bit worried about it since the phone is barely a couple of months old and I’ve taken care of it ever since I bought it. Can you guys help me out. Thanks. Troubleshooting: The purpose of this troubleshooting guide is for us to know if this problem is minor and if we can fix it on our own. There are times when the problem is beyond our league and we have to seek assistance from a technician who can do further tests without voiding the warranty. The first thing I want you to do is Forced Reboot, which is also known as soft reset. It is the same as the battery pull procedure we often do to phones with removable battery but since your A7 has a non-removable battery, then you have to do this. Press and hold the Volume Down and the Power keys together for 10 seconds and your phone may reboot normally. That is if the problem is caused by a glitch in the system that caused the phone to crash and if the phone still has enough battery left. If this problem started without apparent reason, this might be the only thing you need to do to bring your phone back to life. However, if the it still won’t respond after this, then move on to the next step. Plug your charger to the wall outlet that you know works and then connect your phone. I understand you said you already tried charging your phone but it won’t respond but please do this. Once plugged in, press and hold the Volume Down and Power keys together for 10 seconds to see if the phone responds this time. The reason why we have to do this is that there’s a possibility that the system crashed and that the battery was all drained. In this case, the phone won’t respond no matter how many times you press the Power key. It won’t also respond even if soft reset is done simply because there’s no battery left to power up all its components as well as load the firmware. So, we give your phone a stable power source and even if it doesn’t respond to the charger, you have to do the soft reset procedure again to see if it turns on this time. If the phone still won’t respond after this, then leave it plugged in for 10 minutes but from time to time, check if it’s heating up because it does, then there’s a problem with the hardware and you need to unplug the phone from the charger and immediately bring it to the tech. You only have to continue troubleshooting if your phone doesn’t heat if charged. After leaving it plugged in for at least ten minutes, you have to try to bring it back to life by attempting to boot it up in a different environment. By booting your phone up in safe mode, you’re actually disabling all third-party apps. There’s always a possibility that the problem is caused by one of the app you installed on your phone. It might have been crashing a lot and caused some conflicts in the system that also resulted to a system crash. From the Home screen, tap the Apps tray. However, if the phone doesn’t boot up in safe mode, then you have to move on to the next step. Your phone has a fail-safe that if the firmware fails to load all necessary files and services and gets stuck during boot up, you will still be able to run it in Android system recovery environment wherein the usual Android interface won’t be loaded. This environment is what we often call Recovery mode. The moment your phone boots up in this mode, you can already reset assured that the hardware is fine and that the problem is actually just in the system. In this mode, you can do a couple of things: first, you have to wipe the cache partition and if that won’t work, you have to do the Master reset. If the phone failed to start in recovery mode or if wiping the cache partition wasn’t enough to make it work normally again, then you have to reset it. If the problem still persists after this, then you have no other option but to bring your phone to the shop and let the tech fix it for you. I dont use my phone but my battery is low,why? Since i charge my phone yesterday ant it 99% battery in that,and then i don’t use it then after 3 hour when i see my phone there was 76% battery. Thank you for your support…..I followed carefully step by step and finally my Galaxy A7 turned ON.